EPAD is pioneering a new approach to clinical trials of drugs designed to prevent Alzheimer’s disease. Alzheimer’s disease is a progressive degenerative disease that results in a loss of brain cells. It is the most common form of dementia in the elderly. According to the World Alzheimer Report 2016, there were 46.8 million people worldwide living with dementia in 2015 and this number will reach 131.5 million in 2050. 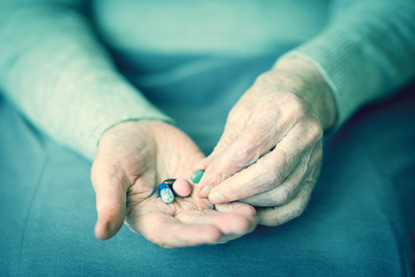 While there is no cure for Alzheimer’s disease, the U.S. Food and Drug Administration (FDA) has approved two types of medications – cholinesterase inhibitors (Aricept, Exelon, Razadyne) and memantine (Namenda) – to treat the cognitive symptoms of Alzheimer’s disease. However, despite intensive efforts over many years and significant global investment, no new drugs have been approved since 2003. There is now compelling evidence that Alzheimer’s disease takes hold in the brain decades before dementia symptoms appear, providing a window of opportunity for preventative intervention. As a result, today’s research increasingly focuses on this pre-symptomatic phase, with the aim of delaying or preventing the disease. The European Prevention of Alzheimer’s Dementia (EPAD) consortium is an interdisciplinary research initiative that aims to improve the understanding of the early stages of Alzheimer’s disease and deliver new preventative treatments. The largest ever public-private partnership in Alzheimer’s disease research, EPAD transcends disciplinary boundaries to combine knowledge and expertise from 39 European partner organisations across multiple sectors. Together, we are developing the EPAD platform on which new therapies can be tested in a streamlined and efficient way, delivering more effective, targeted interventions that can slow or stop dementia. Research has established beyond doubt that Alzheimer’s dementia is a result of multiple disease processes. By the time symptoms appear, numerous pathologies have hampered brain function. The hypothesis behind EPAD suggests that early, targeted intervention focused on the very first stages of disease will be more successful. This approach requires greater insight into the life of the brain than has ever been achieved before. Which disease processes are most relevant? What is the interaction between risk factors, disease and intervention? How do you find the right people to track over time? EPAD has been set up to find the answers. 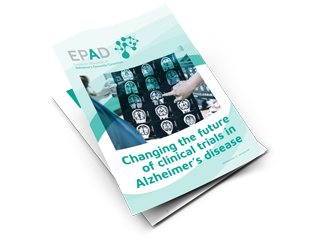 EPAD faces a number of challenges, including the difficulty of identifying people who are likely to develop Alzheimer’s dementia, the poor understanding of the earliest stages of the disease, and a lack of flexibility in the way clinical trials are carried out. To address these issues, we have developed three core strategies which deliver benefits for intervention owners and research participants. 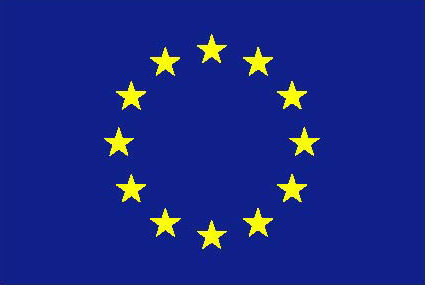 The Register: EPAD has created the first single, pan-European register of over half a million people across the risk spectrum for dementia. 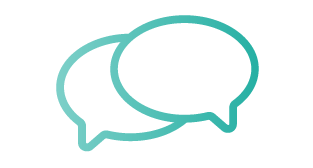 The Cohort: From this register, research participants are invited to join an EPAD cohort of at-risk subjects, the Longitudinal Cohort Study, known as the LCS. This group will undergo standardised tests and follow-up over several years. The Trial: EPAD will select participants to take part in streamlined proof-of-concept (PoC) trials of drugs designed to prevent Alzheimer’s dementia. Watch the EPAD video for an overview of our approach. The case for using adaptive trials as a methodology to research dementia is strong. With better data and improved decision-making, adaptive trials can increase the probability of success and decrease development time. EPAD is pioneering this approach in Alzheimer’s disease. In traditional clinical trials, half of the participants receive the drug under investigation, and half receive a placebo. In adaptive clinical trials, several candidate drugs are simultaneously compared to each other and to a placebo, meaning that a greater proportion of patients benefit from a potentially active treatment. Furthermore, researchers can adapt the trial design in response to emerging results, new candidate drugs can be added, and those that prove ineffective can be dropped. 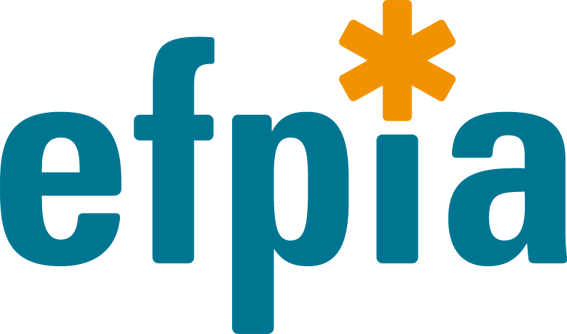 By setting up a trial-ready cohort of research participants, creating a pan-European network of trial sites, identifying ineffective medicines earlier in the development process and eliminating failures in more advanced (Phase III) trials, EPAD aims to accelerate the development of effective therapies. Please read more about EPAD’s platform for intervention owners.